The Alternative Produce Show a blustery day of the curious, marvellous delicious and downright silly. Thanks to everyone who took part..next year we’ll be at Bath Organic Garden it’s never to early to start planning your entries. The fun fruit and vegetable produce show where odd shaped vegetables, slugs and snails are welcome! See poster and schedule for more details on how to join in, or just come along and enjoy the fun! 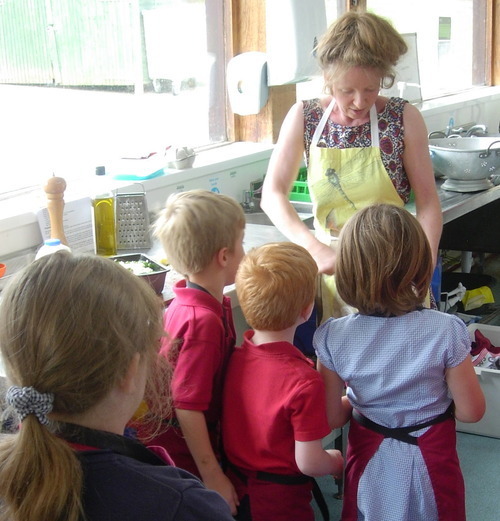 The show is designed for anybody of any age who is, or might be, interested in growing fruit and veg, who likes eating food that contains fruit and veg (chocolate and rhubarb cake, anyone?) or who’s creative. The emphasis is on taste and on creativity, not on growing perfect looking veg. 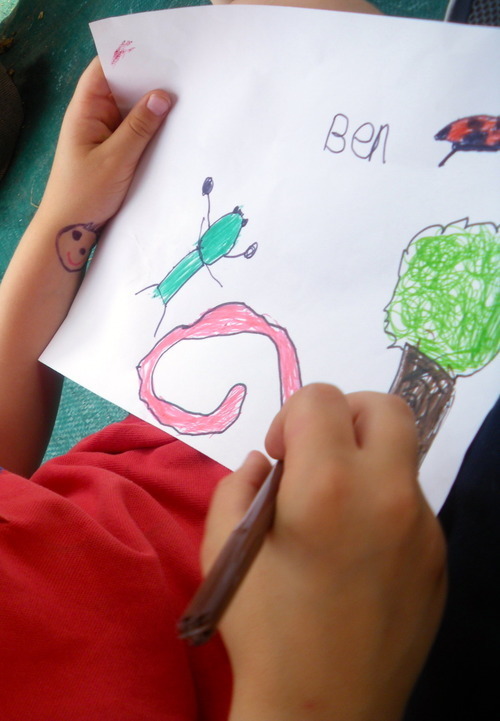 Points mean prizes for children who take part, while adults receive a distinctive certificate. 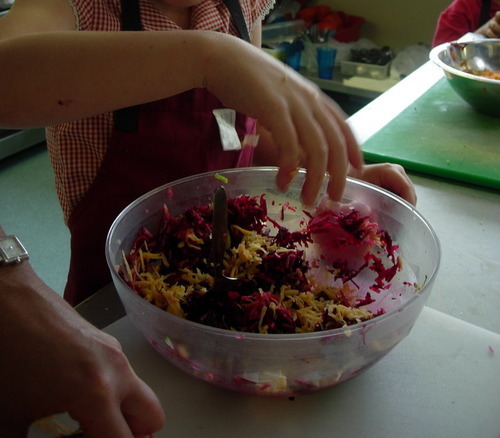 Our last session in the kitchen at St Saviour’s Infant school today – another tasty meal to take home and share with the family. 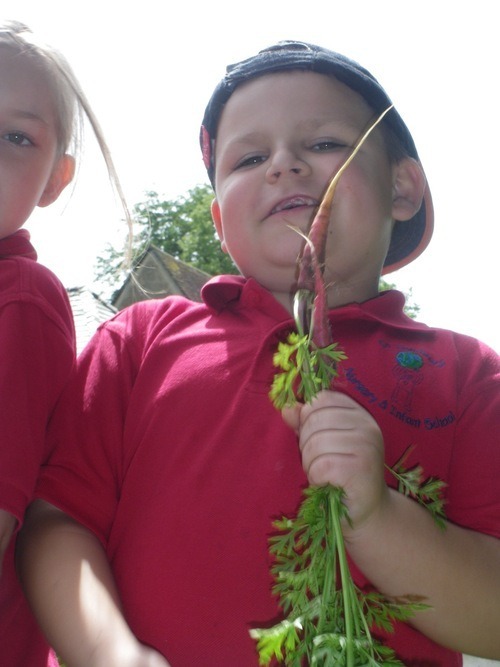 The time has flown by and the garden is abundant – the children and their families will be popping in over the summer holidays to check on their vegetables and keep them watered and all will be invited back at the start of the new school year to take part in a harvest celebration. The team from Bath in Bloom came and went with smiles and compliments all round for the steady growth of our project. The garden looked lovely thanks to all the extra effort our volunteer team have put in, unfortunately our shy little grass snake failed to make an appearance… we could do with capturing her on camera. 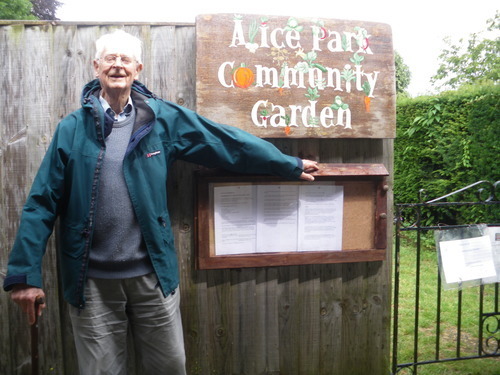 I’m delighted to say that (founder and volunteer) Hyla was not so shy and arrived with a fantastic home-made notice board – this is just what we needed and will transform communication at the garden. The last session in the garden today before we head to the kitchen for the next two weeks with fresh produce to cook up some tasty meals with the children and their families. 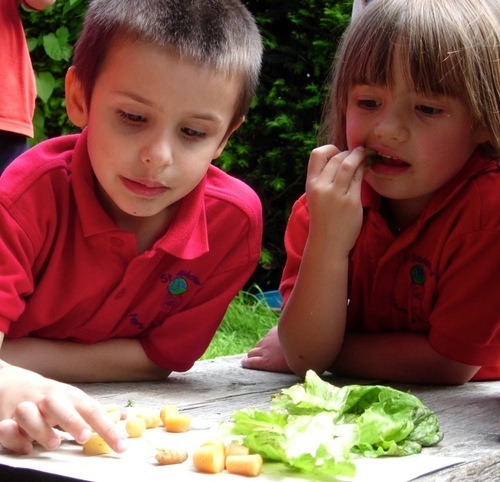 This week the children were delighted to see how well their peas are growing and very quickly found the fruit and vegetables they liked best in the garden, picking a selection for a snack. A delicious crop of cherries was wolfed down, along with baby beetroot and courgettes, peas and lettuce plus edible flowers. The children planted up their own window boxes with seedlings and seeds that they will take home to continue growing in their own homes. 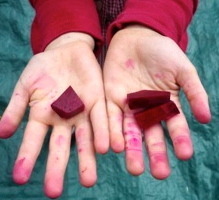 As they left the garden with beetroot and cherry stained hands and faces, Joe and Kane turned back quickly to grab a few peas to sustain them on the walk back … ‘I picked this!’ said Joe. Another sunny afternoon in Alice Park Community Garden. 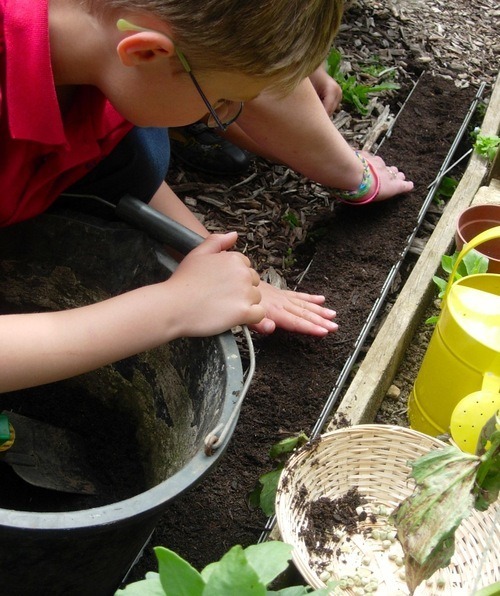 Today the children from St Saviour’s Infant School planted out their peas which are now a couple of inches tall. A bit more sowing seeds and finding out when best to water in hot weather. 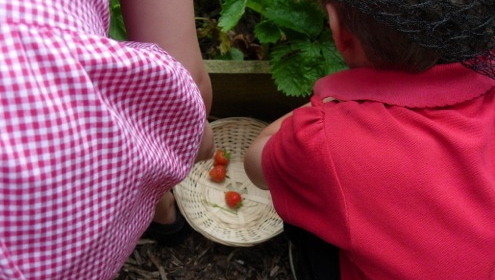 We explored the garden for creatures and talked about the importance of attracting wildlife. 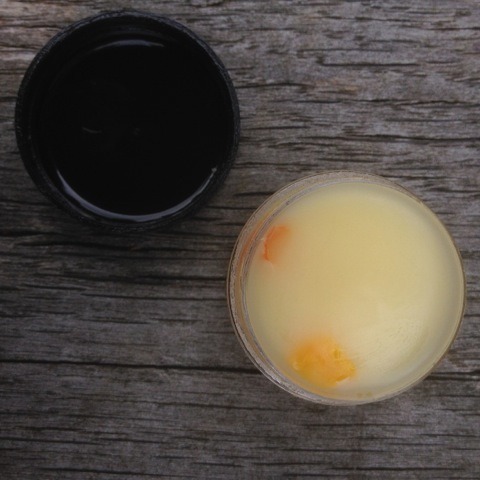 Snack today included fresh crisp lettuce, strawberries and edible flowers: calendula and nasturtiums. Everyone tried a flower, Joe’s commented: ‘It’s a bit spicy!’. 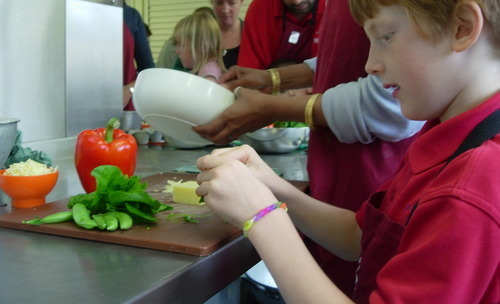 Parent volunteers are also enjoying learning more about basic gardening skills and seeing their children try new tastes and snack on freshly picked fruit and vegetables. 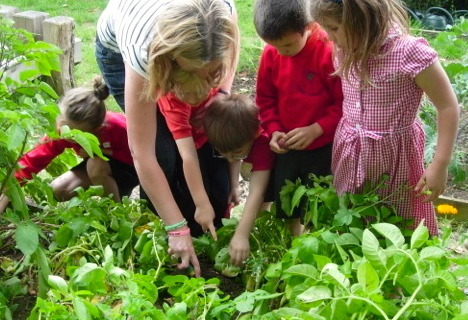 Second visit to the community garden by St Saviour’s Infants children. ‘I bet the peas have grown’, were Mackenzie’s first words as she entered the garden – and she was right! The peas have started to shoot already. Many thanks to Matty and his mum for coming in during the week to water whilst they were dog walking in the park. 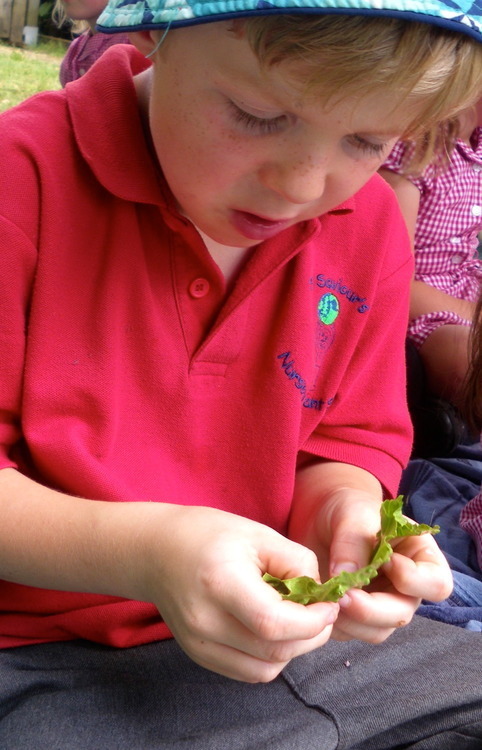 The children planted tiny lettuce and radish seeds, comparing them to the size of the pea seeds planted the week before. 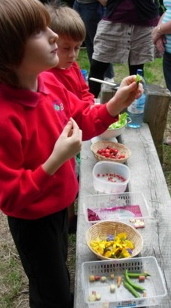 A snack of mange tout, strawberries and raw baby sweetcorn re-fueled the group for harvesting potatoes. Treasure under the soil! 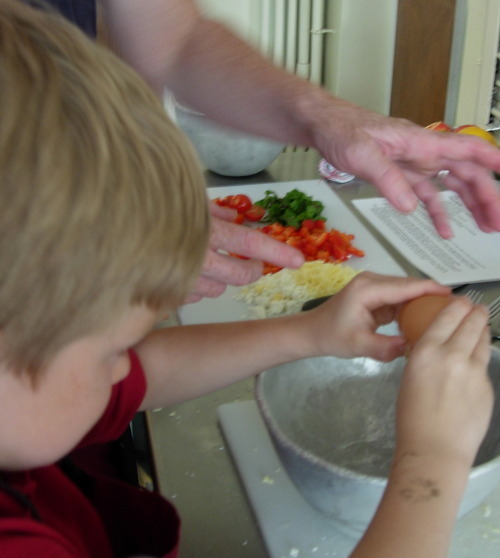 ‘I love potatoes’ shouted Kane, ‘I’m going to take this home and cook it and eat it!’ The children left with a bag full of potatoes and some herbs for the kitchen to cook up for dinners this week. A tasty afternoon snack of freshly picked carrots, lettuce, peas and broad beans. 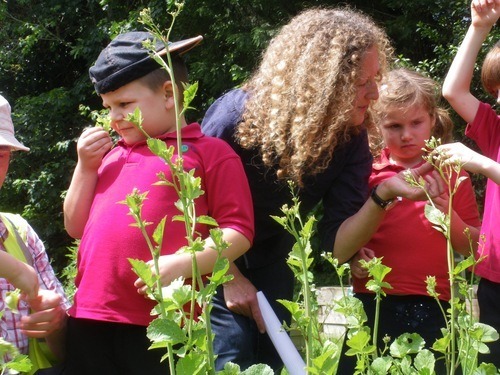 Children from St Saviour’s Infant School have started a programme of weekly visits to the garden as part of a project funded by Quartet Community Foundation that gives children and their families an opportunity to learn gardening and cooking skills in tandem through practical hands-on activities.